It’s Christmas in October! Well, maybe not literally, but it sure feels like it. 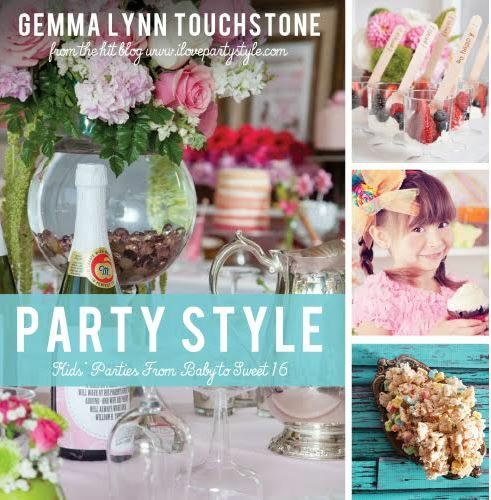 I was given the opportunity to read and review Party Style – Kids’ Parties from Baby to Sweet 16 by Gemma Touchstone. This review is incredibly important to me not only because it’s ‘the pARTy plannings’ first book review, but also because Gemma has been a long time inspiration of mine – to say I’m starstruck is an understatement. I have been following Gemma’s blog Gemmas Party Style since nearly the beginning (and I backread everything I missed from before I discovered her). What I didn’t know, is Gemma is also the editor-in-chief of Party Style Magazine, which in my mind is an absolute must read for any entertainer. I don’t only envy her work, but also her career path. She started as a floral designer and moved her way up to design and style some of Hollywood’s hottest nurseries and parties. Needless to say, I want her job! 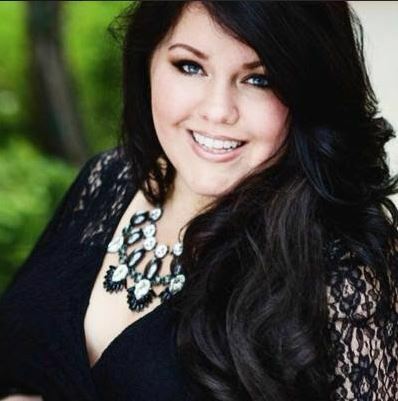 Gemma recently compiled her party planning tips, tricks and inspiration into her book Party Style – Kids’ Parties from Baby to Sweet 16. The book offers over 200 pages of beautiful pictures and priceless party planning tips. Don’t believe me, get a sneak peek for yourself here. The book starts with a quiz to help you find your party style. It said I was a Party Style/DIY, which after reading the description, was pretty spot on! Since I have a DIY style, I am constantly on the hunt for free printables. Gemma really hooked me up here by offering over $2,500 in FREE printables with the book purchase! After you find your party style, the book walks you through everything you need to execute. She walks you through a timeline to party planning – what you need to do and when you need to have it done. My fellow Type A personalities will appreciate the checklist and the Type B’s will appreciate the help getting organized. The book goes on to cover everything from party etiquette and how to stage photos to the motherload of recipes and games. You can get your own copy of Party Style – Kids’ Parties from Baby to Sweet 16 here. To build the excitement even further, Gemma is hosting a giveaway! 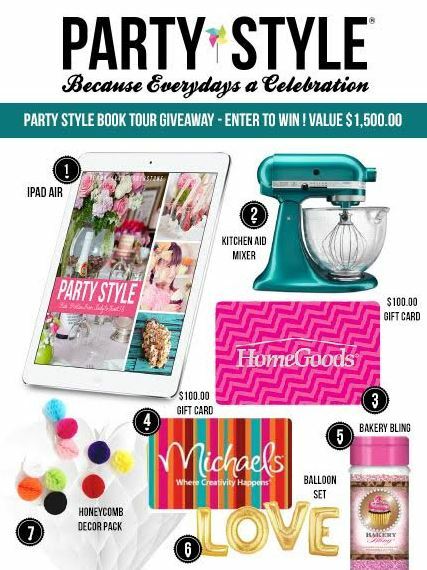 Click a Rafflecopter giveaway to enter for your chance to win! 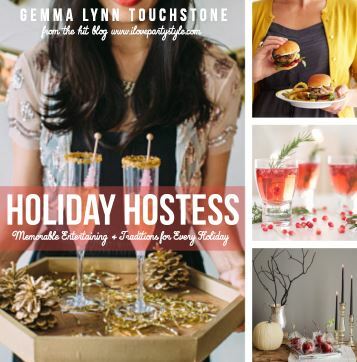 As if Gemma isn’t busy enough, she is already working on her next book Holiday Hostess – Memorable Entertaining & Traditions for Every Holiday which will be coming out in May 2016. I’m not going to lie – I hope she asks me to review that masterpiece as well!